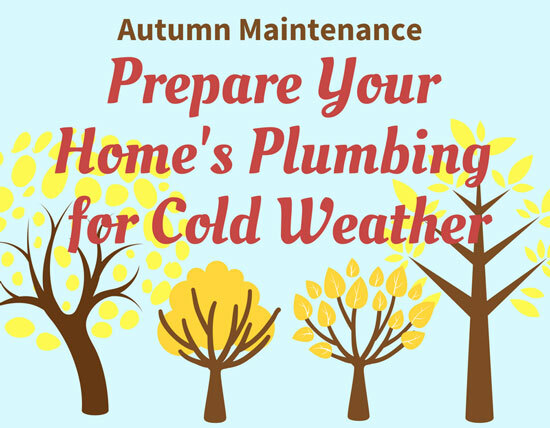 Fall is a good time to take a close look at your home’s plumbing system. You can take care of regular maintenance and get ready for winter while the weather is still warm. Cross these chores off your to-do list before the last leaves fall and you’ll enjoy peace of mind all winter long. No time for checklists and inspections? Give Simpson Plumbing a call. We offer preventative maintenance plans and a multi-point inspection that will keep you in hot water all winter long. Water Heater: There’s nothing better than a hot shower in the dead of winter. If your water heater isn’t working as well as it once did, replace it before it fails. It can be more cost-effective to buy a new water heater rather than repair an old one. Today’s models save energy, may reduce your utility bills and are often eligible for state or federal rebates. Check our special offers for deals on water heaters. If you’re not in the market for a new water heater, you may be able to make an old one more efficient by wrapping it in insulation. Find blankets made for this purpose at a home improvement store. Wrap Pipes: Protect outdoor and exposed pipes. Don’t forget to check unheated areas of your home, such as crawl spaces and garages. If you see water pipes, wrap them. The insulation prevents frozen pipes and can reduce water heating costs. Foam insulation is the right choice for homes in Washington and Oregon. Your local hardware store can help you find the right products for your pipes. Gutters: Winters in Vancouver and Camas are hard on your home’s gutters. Make sure they are clear and draining. Leaves and pine needles create clogs and can promote rot. If temperatures drop below freezing, standing water could turn into ice, expand and damage the eaves. Septic/Sewer System: Get your sewer or septic system checked by a professional. An inspection may find small problems before the turn into big ones. Find the Water Main: Do you know where to shut off water to your house? In the event of an emergency, it’s important to know how to turn off the water. The shut off may be near the water heater, or it could be out at the water meter. If you get in over your head during fall maintenance, contact us. We’re here to help.